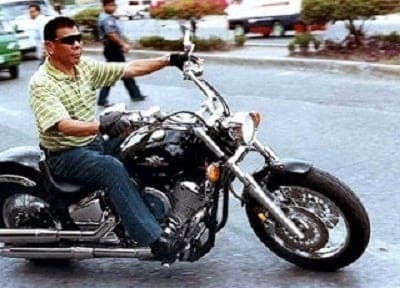 Dubbed as “The Punisher” and “Dirty Harry of Davao,” Rodrigo Duterte is said to be among the rare breed of politicians who walk the talk. 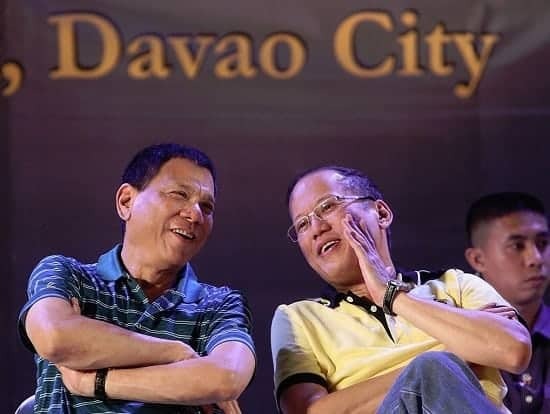 His ironclad leadership certainly doesn’t silence the critics but had been instrumental in turning Davao City into the world’s 5th safest city (according to Numbeo.com). 1. 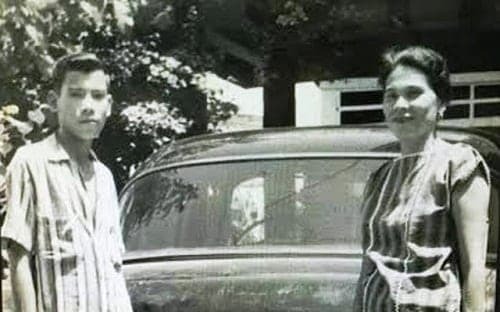 Rodrigo Duterte and his Cebuano roots. 3. Rodrigo Duterte as a teenager. 4. Rodrigo Duterte never dreamed of becoming a mayor. 5. He describes his term in the Congress as boring. 6. Rodrigo Duterte supports LGBT rights. 7. Rodrigo Duterte was President Arroyo’s anti-crime consultant. 8. He cares for indigenous and tribal peoples. 9. He used to give groceries to police officers so they wouldn’t be tempted to ask for bribes. 10. He encouraged drug pushers/users to surrender by giving them cash and livelihood. 11. He warned he will kill up to 100,000 criminals if he is elected president. 12. He declined several awards. 13. His accomplishments as Davao City mayor. 14. Rodrigo Duterte’s net worth. 15. Rodrigo Duterte on population control. 16. Rodrigo Duterte vs. Singapore. 17. 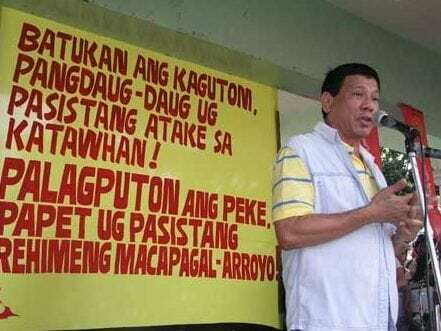 He condemns NPA’s armed struggle but supports their cause. 18. Rodrigo Duterte on federalism. 20. Rodrigo Duterte was the first local government official to visit Tacloban City after Typhoon Yolanda. 21. Meet Baste, the younger Duterte. 22. Rodrigo Duterte on China issue. 23. Rodrigo Duterte vs. Prospero Nograles. 25. Rodrigo Duterte is the first Filipino lawyer-president who didn’t top the bar exam. Ramon Duterte. Photo Credit: Rotary Club of Cebu. The Dutertes are originally from Cebu. For instance, his late father, former Davao Governor Vicente Duterte, was mayor of Danao City in Cebu. His cousin Ronald, on the other hand, served as Cebu City mayor from 1983 to 1986. 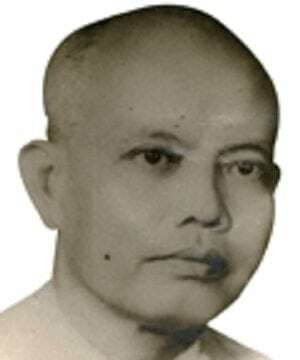 Ronald’s father, Ramon Duterte, also held the position from 1957 to 1959. Mayor Rodrigo Duterte also considers several political families in Cebu as his relatives, among them the Durano and Almendra clans. It was in the 1950s when his father moved to Davao, leaving behind some of their relatives who have since remained in Cebu. Although he has served Davao City as mayor for many years, Duterte still considers himself a Cebuano. In fact, he owns a small property in Danao City and even considers retiring in the province in the future. Recognizing his Cebuano roots, several politicians from the province expressed their support even before Duterte ran for presidency. 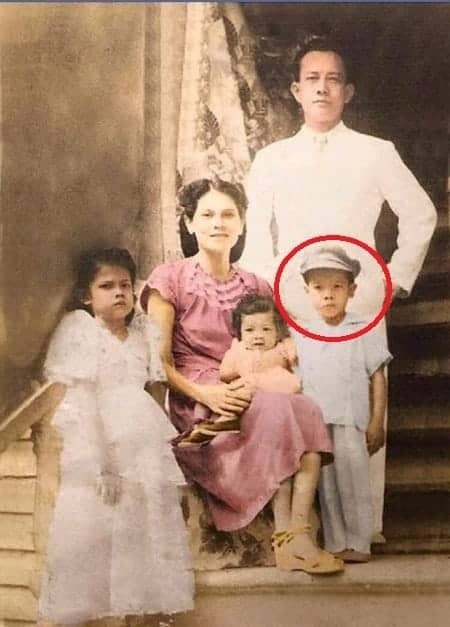 Young Rodrigo Duterte with family. 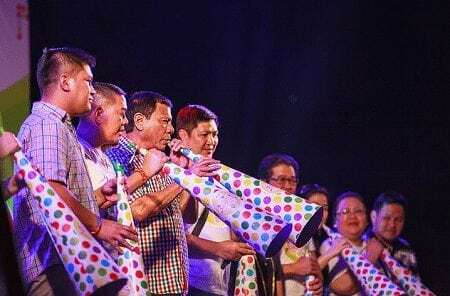 Not surprisingly, Duterte preferred to hang out with Davao City’s toughs and street smarts–an experience that has made it easier for him to connect with the masa. After being expelled twice (he was kicked out of Ateneo de Davao), Duterte finally graduated from high school and went on to earn a law degree from San Beda College in 1972. 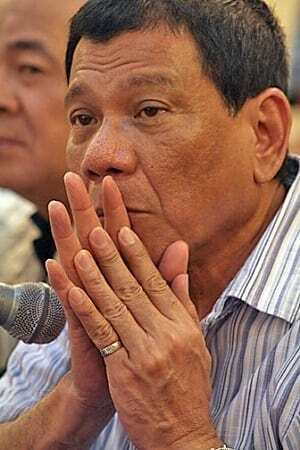 Davao City Mayor Rodrigo Duterte calls for the passage of the wage-increase bill. Photo Credit: Davao Today via Flickr. Upon passing the bar exam, Duterte served Davao first as a special counsel to the city government and then as assistant city fiscal. After the 1986 People Power Revolution, however, his career took a new turn. After his three terms as Davao City mayor, Duterte ran and won as Congressman of the city’s first district in 1998. He had no choice anyway: the 1987 Constitution mandated that congressmen and other local officials can only be elected to three consecutive 3-year terms. It would not be the first and last time that Duterte would express his support for LGBT rights. In 2009, he criticized the COMELEC for kicking out Ang Ladlad, a gay rights group, from its party-list slate. He also helped pass an Anti-Discrimination ordinance in Davao City which basically prohibits discrimination against the LGBT people and members of the minority groups. 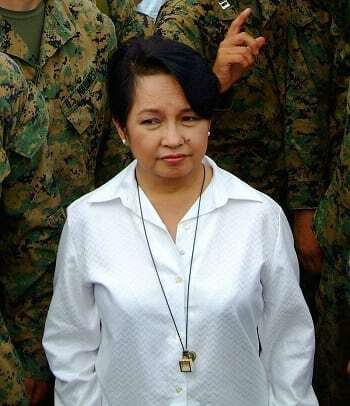 President Gloria Macapagal-Arroyo. Via Wikimedia Commons. Duterte’s iron fist leadership has earned him both critics and admirers. Among those who were pleased by his role in transforming Davao City was no less than former President Gloria Macapagal-Arroyo, who eventually sought his help in 2002. The Davao City mayor became Arroyo’s anti-crime consultant. His primary role would be to lead an anti-terror task force in achieving peace and order in the country. Although Arroyo approved his “tough on crime” approach, Duterte’s appointment didn’t sit well with the critics. Soledad Roa Duterte. Photo Credit: Mindanao Times. Duterte’s sincere concern for the welfare of indigenous groups can be traced to his mother’s advocacy. Fondly called Nanay Soling by her friends, Soledad Roa Duterte was involved in several programs which were aimed at improving the lives of Aetas, Bagobos, and the Badjao communities. The money–which amounted to 2,000 pesos–would serve as pocket money of surrenderers while undergoing a drug rehabilitation program. Duterte also used part of his peace and order fund to give allowance and therefore compel the drug dependents to see the doctor regularly. 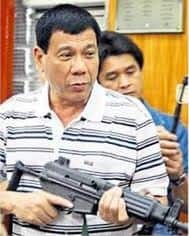 Mayor Rodrigo Duterte testing an assault weapon. Inquirer.net photo. If there’s one thing that kept Duterte from running for higher office, that would be his fear that as much as 100,000 criminals might die if he becomes president. Rumors have been told about Duterte’s alleged involvement in the summary killings perpetrated by the vigilante group “Davao Death Squad.” He had continued to deny this until an interview with Gikan sa Masa Para sa Masa. In the said TV show, Duterte admitted his links to the infamous group and even dared human rights groups to file a case against him in the court. It was not the first time that Duterte declined an award though. In the past, he refused to accept awards for Davao City, including the one given by the American Cancer Society and the 2010 anti-smoking award in Singapore. Duterte’s somewhat unconventional leadership has been praised by Filipinos who are longing for peace and order, so much so that Duterte was ranked fifth among all Filipino politicians included in the list of 2010 most trusted individuals by Reader’s Digest. However, Duterte’s success is not just one-dimensional; his unprecedented term as a mayor saw the transformation of Davao City from a crime-infested area into a thriving business hub equipped with its own 24/7 emergency hotline (Central 911). Among the notable ordinances enacted by the city government under Duterte were the firecracker ban, liquor ban (which prohibits the sale and consumption of alcoholic beverages from 1 PM to 8 AM in public places), and the anti-smoking ordinance. It was also during Duterte’s term when his community was recognized for the third time as Outstanding Local Government Highly Urbanized City, cementing Davao City’s place in the National Literacy Hall of Fame. In terms of social services, the city government has continuously implemented various projects to ensure the health and wellness of children and the marginalized sectors of the community. 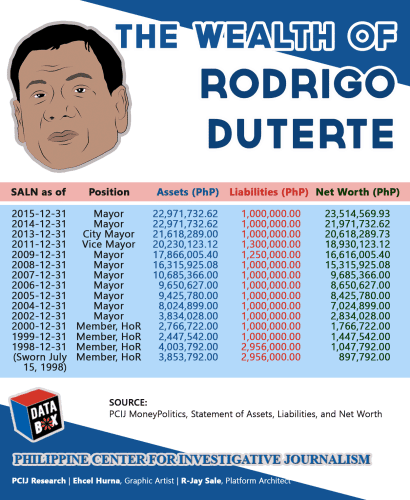 Based on his 2015 SALN (Statement of Assets, Liabilities, and Net Worth), Duterte has a net worth of P23,514,569.93 or a P1.54-million increase from the amount he declared the previous year. According to Malou Mangahas of the Philippine Center for Investigative Journalism (PCIJ), Duterte’s latest SALN is a far cry from the P897,792 he owned in 1997. It also translates to a staggering 132.6% average growth rate every year. Part of Duterte’s latest net worth is the P14,839,69.93 “cash on hand/in bank.” He also has 3 million-peso worth of investments as well as properties–including household appliances, jewelry, real estate, and furniture–amounting to P1,130,000. A known pro-RH bill, Mayor Duterte recommends family planning because “it is something good for the people.” In fact, he once encouraged several couples attending a community wedding (kasalang bayan) to have no more than three children. But long before the RH bill debate had reached the local political landscape, Duterte was already supporting the use of family planning methods. In 2005, he announced that he would give P5000 to those who would avail of the city’s free tubal ligation and vasectomy services. The money, as health officials and social workers later revealed, was partly a cash incentive. The remaining amount covered the expenses required for the procedure. In the end, hundreds of people swarmed the City Social Services and Development (CSSDO) office, forcing health officers to reduce the amount into P3,000 just to keep up. The financial demands became too much to bear that they officially scrapped the money years later. 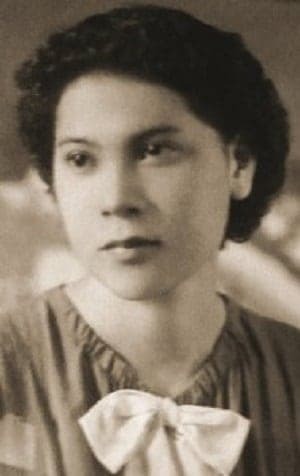 The 1995 execution of Flor Contemplacion–who was convicted for the murder of a 4-year-old Singaporean child and another Filipino maid–triggered a firestorm of public protests in several Philippine cities and provinces. The most controversial, however, was in Davao City where Mayor Rodrigo Duterte led his employees in publicly burning a Singaporean flag replica. He also urged Davaoeños to boycott Singaporean products and investments. A formal letter of protest was subsequently sent to Philippine Ambassador Alicia Ramos. 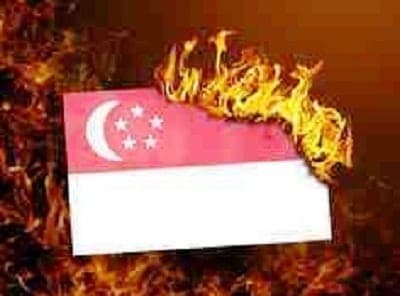 The Singapore government also advised its citizens at that time to avoid traveling to the Philippines due to threats of violence. Davao City Mayor Rodrigo Duterte meets with Kumander Parago in 2008. Source: Durian Post Online. Mayor Duterte may detest communist-related violence, but he still respects the rebel group New People’s Army (NPA) and their ideologies. This became evident when he allowed a hero’s burial to the slain NPA leader Leoncio “Ka Parago” Pitao. In another incident in 2004, Mayor Duterte paid the medical bills amounting to more than P100,000 of an NPA member. Marvin Luis, who was wounded in an encounter in Compostela Valley, arrived in Davao Medical Center riddled with bullets and almost dead. Although his proposal to establish a federal government in Mindanao was taken with a grain of salt, it wouldn’t be Duterte’s last time to oppose the status quo. In March 2015, he once again brought up the idea of a federal system of government–this time on a national level. The federalism he proposes will create 14 states or regional government, each of which has certain levels of autonomy. According to Duterte, the lack of financial support to Mindanao–which provides 54% of the country’s dollar earnings–is rooted in the faulty unitary system of government. That’s what Rappler discovered when Mayor Digong invited them to take a tour of the latter’s house in September 2015. He particularly loves spy novels by famous authors Robert Ludlum and Sidney Sheldon. The tough-talking politician also has an appetite for history books, specifically those about Mindanao history. Of course, one can’t be a strategic leader if you limit your reading list to trivial topics. According to his close friends, Duterte has read books ranging from biographies of influential world leaders (like Napoleon Bonaparte and Lee Kwan Yew) to in-depth references about economics, food security, and politics, among others. 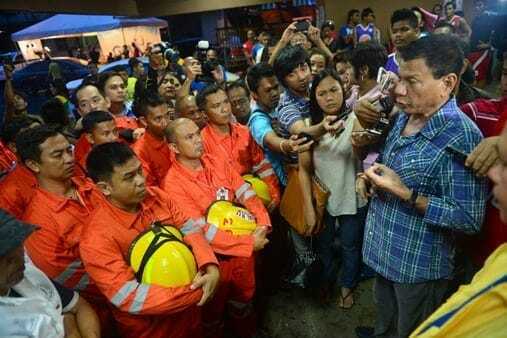 Duterte with the second batch of Davao City volunteers sent to aid survivors of super typhoon Yolanda. Photo from Duterte’s official Facebook page. 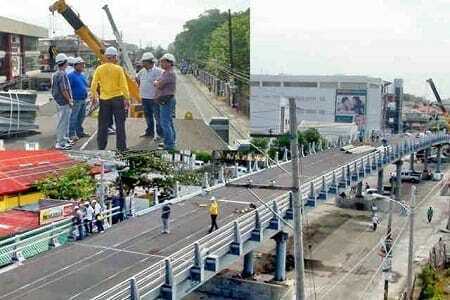 But after the initial shock, the Davao mayor started working. He brought with him Php 8 million worth of relief goods, financial assistance, and rescue equipment from Davao City’s very own Central 911. For their outstanding rescue efforts, both Mayor Duterte and the Davao City Central 911 were awarded plaques of appreciation during the 30th Kadayawan Festival in 2013. Save for their friends and relatives, almost nobody knew Duterte has a younger son. But things have changed when Sebastian was appointed the representative of the older Duterte in several speaking engagements. Suddenly, he’s the center of the spotlight, and things won’t probably change now that his father is the new Philippine president. He may look intimidating with his lip ring and tattoos, but Sebastian or ‘Baste’ to his friends is actually uncomfortable facing a huge crowd. In one campaign rally in Hong Kong, for example, the 28-year-old surfer and businessman said he felt “uneasy” in front of around 8,000 to 10,000 people. He also prefers a simple life and is hopeful to keep it that way once he’s part of the First Family. Baste has two kids from two different mothers. He plans to marry his second wife as soon as he saves enough money. The younger Duterte graduated from Ateneo de Davao with a political science degree, which he earned after several semesters in two college courses. He tried to enter law school but quit after only three months. Asked about his stand on the territorial disputes in the South China Sea, Duterte said in an interview that he would call for multilateral talks involving claimant countries plus allies including the United States, Japan, and Australia. In 2007, the political rivalry between Mayor Rodrigo Duterte and Majority Floor Leader Prospero Nograles reached fever pitch. It all started when 11-year-old Marianet Amper of Davao made headlines after committing suicide due to poverty. Nograles accused Digong of misusing intelligence funds, which could’ve been enough to alleviate poverty and therefore prevent the suicide from taking place. He also linked the Davao City mayor to a mining operator who was allegedly involved in several killings in the city. In response, Mayor Duterte challenged his opponent to a fight: “Do you really want to fight? I am giving it to you. You just choose (the kind of fight). What do you want? I’m going to slap you, you bull…st,” he said in a local TV program. The clash between the two reportedly started when Nograles failed to win the mayoralty of Davao City twice–in 1992 when he was defeated by Duterte himself; and in 1998, when the position was won by Benjamin de Guzman whom Duterte supported. In between these periods, things seemed to be going well between the two Davao politicians. In fact, both of them were part of an alliance that helped campaign the Arroyo administration’s national and local candidates in the 2004 elections. Duterte even volunteered to protect Nograles in 2006 when an assassination plot against the latter was uncovered. But it wouldn’t be long before the two started throwing accusations against each other. Again in 2007, Duterte accused Nograles of diverting millions of funds from Lakas to help in the campaign of the party-list group Kalahi of which the latter’s son was a nominee. 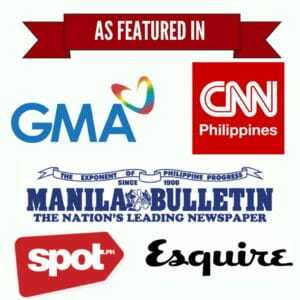 Nograles, meanwhile, blamed Duterte for the death of broadcaster Fernando Lintuan. Ironically, Nograles was among those who expressed their support for Duterte in 2015 when the latter was yet to announce that he would run for the presidency. However, he clarified that he only “forfeited” his religion for the meantime, and hasn’t completely abandoned his faith. This shouldn’t be surprising as Duterte has never been a fan of the Catholic Church, specifically the priests. President Benigno S. Aquino III converses with Davao City Vice Mayor Rodrigo Duterte in 2013. Wikimedia Commons. 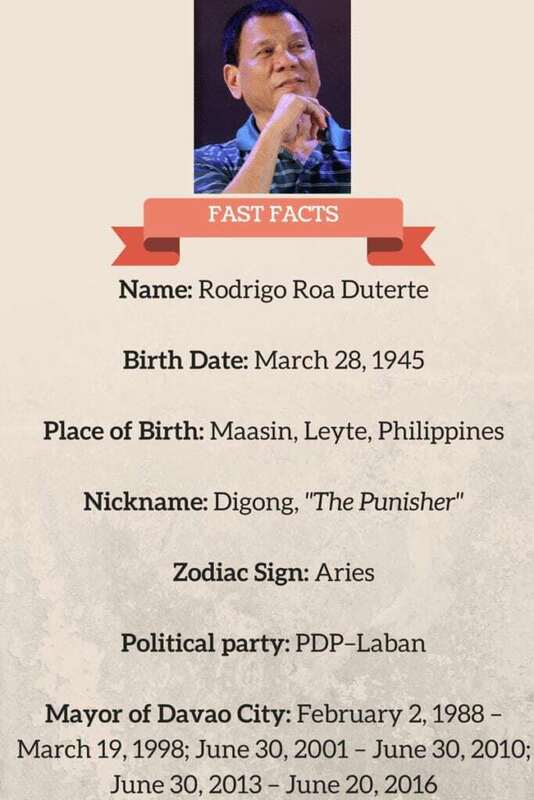 Duterte takes the seat of the presidency with many ‘firsts’ under his name. Not only is he the oldest (and the first septuagenarian) president in history, he’s also the first to have the biggest leap from a local to a national position as well as the first from Mindanao to be elected as president. He’s also the first lawyer since Ferdinand Marcos to win the presidential elections. Marcos was the topnotcher (1st place) in the 1939 Bar Exams. Other lawyer-presidents who came before him likewise placed in the said prestigious exam, namely: Diosdado Macapagal (1st place, 1936 Bar Exams), Carlos P. Garcia (7th place, 1923), Elpidio Quirino (2nd place, 1915), Jose Laurel (2nd place, 1915), Manuel A. Roxas (1st place, 1913), Manuel Quezon (4th place, 1903), and Sergio Osmeña (2nd place, 1903). As mentioned earlier, Duterte took up law at San Beda. He got a score good enough to pass the Bar Exams in 1972. Guillermo, A. (2012). Historical Dictionary of the Philippines (p. 142). Scarecrow Press.